Happy Monday everyone! The sun is shining (a little) here and it is glorious! There has been a distinct lack of cold crisp days this winter so any tiny little bit of sunshine is very welcome. It makes me a little like a cat, if I see a wee sunny patch I will sit for a bit and just soak it up. 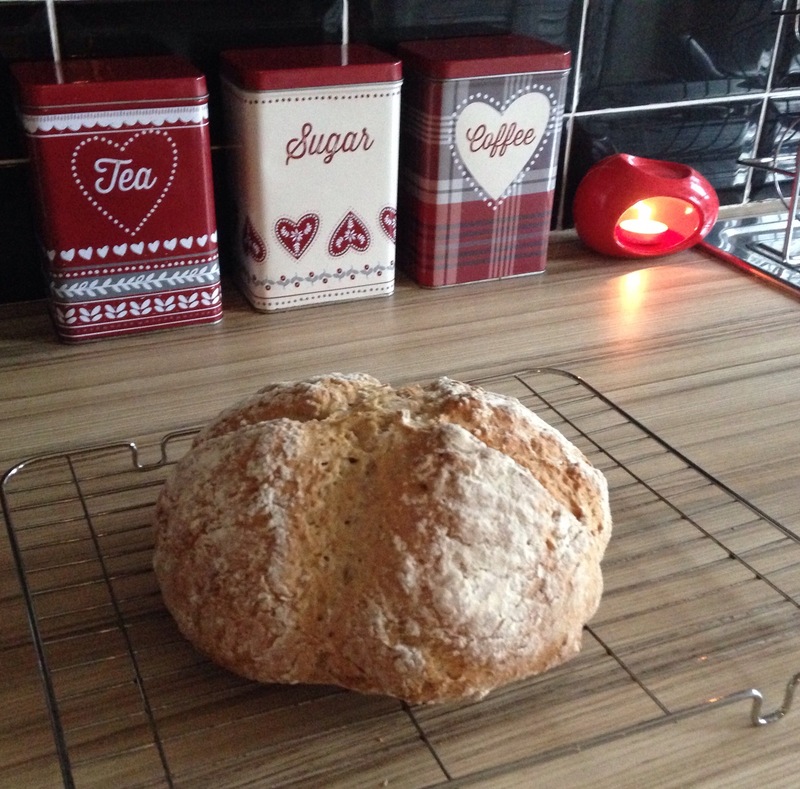 I thought I would share a nice wee recipe on here today, I work from home as a childminder and on this wintery Monday morning I was looking for a fun and easy activity for my little mindee . 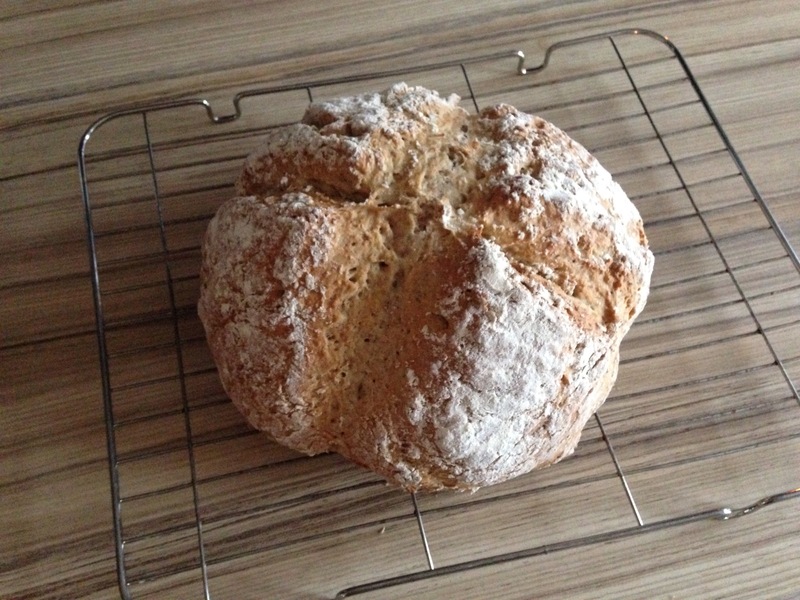 I thought it would be fun to make some bread to have for lunch with some yummy homemade soup. We didn’t really have long enough to allow for kneading and rising time and as he is only two , something that didn’t require a huge attention span was a must! A mere thirty minutes later we had some delicious warm homemade bread. I can’t believe how easy it was! 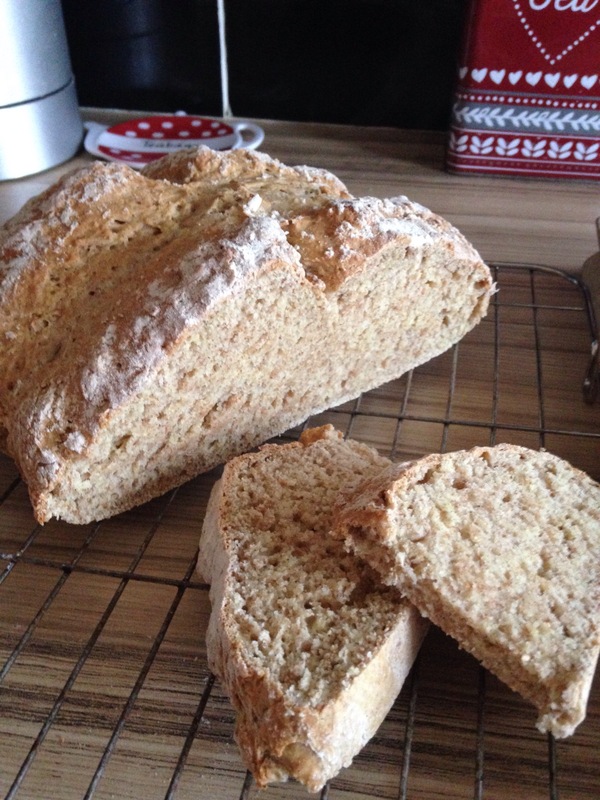 This isn’t an expensive recipe as I had almost everything in the cupboard already and Thriftyness is a definite bonus when baking with little ones as the results can sometimes be a bit hit or a miss. 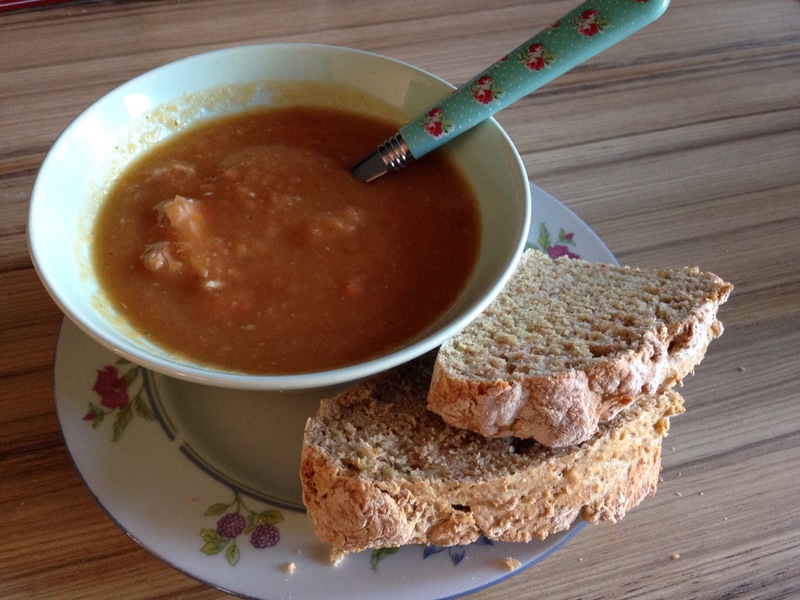 It was simply delicious with our homemade lentil, vegetable and smoked ham soup, a real winter warmer and the perfect way to spend a Monday morning. ** I just want to add that the recipe calls for buttermilk which I didn’t have. Another quick search told me that to make a buttermilk substitute you can add lemon juice to milk. For this recipe I put 2TBSP of lemon juice into a jug and filled it up with milk to the 400ml level, mixed it up and left it for 5 minutes to “activate”. It worked a treat!